Smoothie bowls are my favorite morning go to. Fruit is an amazing food for us humans – we are 97% like monkeys and hey, they live off of it! Fruit’s also is the smartest natural food – it falls when it’s ready to be eaten and holds perfectly filtered water. Fruit is one of the best ways to stay hydrated! 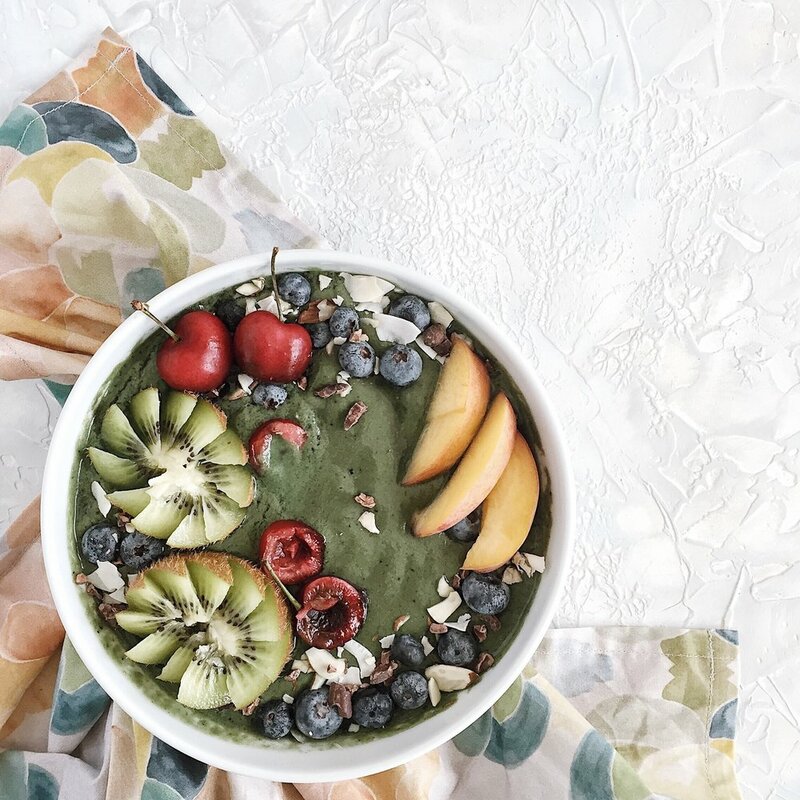 Blend your favorite fruits and veggies together for your smoothie bowl! A frozen banana is the key to a creamy consistency that tastes like ICE CREAM! Top with your favorite nuts, seeds and natural goodies! Paired with our VISTA Napkins for a colorful meal full of good vibes!